New research from NFDA Trusted Dealers has revealed the “top five things” dealers should promote to buyers looking for a used car. The survey of 1,000 motorists was carried out to discover what consumers look for when buying a used car. The results saw 68% put a full pre-delivery mechanical inspection was on the top of their checklist. With 61% placing checks for outstanding finance in second, and 60% valuing accurate vehicle mileage as third. Also in the buyers ‘top five’ is 12 months guarantee on any maintenance works carried out. Proof that a car hasn’t been stolen or written-off was popular, and more than half of those surveyed (58%) said they would expect these checks as standard. The research highlights that buyers value the safety and authenticity of a car above all else, as less than four per cent (3%) think the offer of a finance deals or service plans are significant when buying a used car. 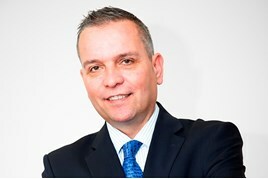 Trusted Dealers’ managing director Neil Addley (pictured) said: “We have carried out market research amongst car buyers to find out exactly what they are looking for when purchasing a used car.